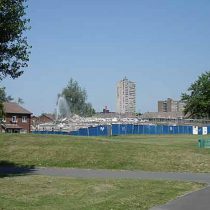 Scope: The demolition and site clearance of a 17-storey residential tower block and remedial landscaping works on completion. 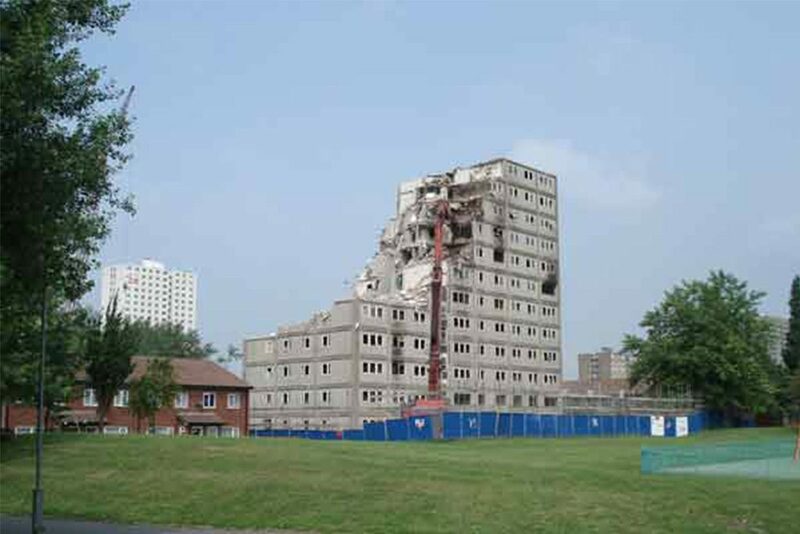 The building was of a Fran Concrete Panel Construction with additional strengthening at the gables. 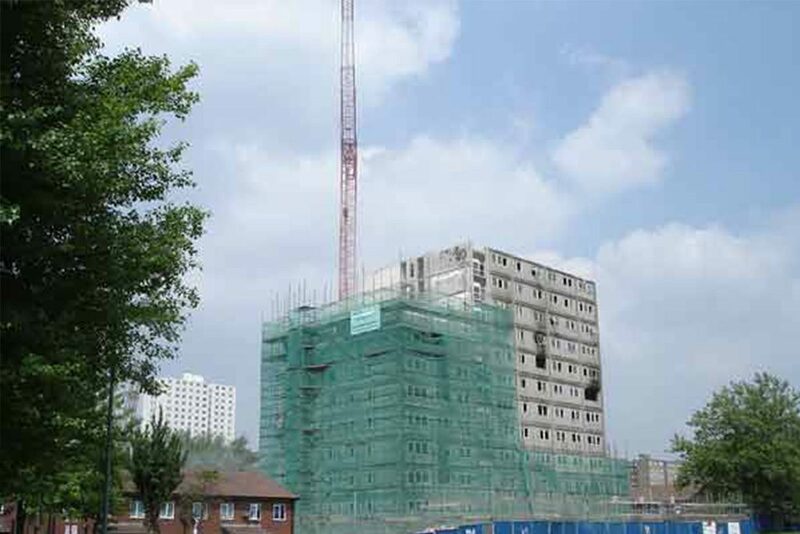 Demolition of a 17-storey residential tower block adjacent to low-rise residential properties. 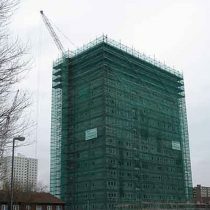 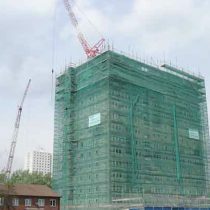 Scaffolding to all floors with full monarflex sheeting. 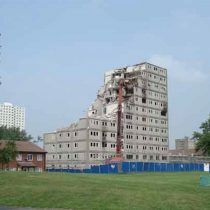 Top floors deconstructed using mini-diggers and bobcats with debris lowered in skips. 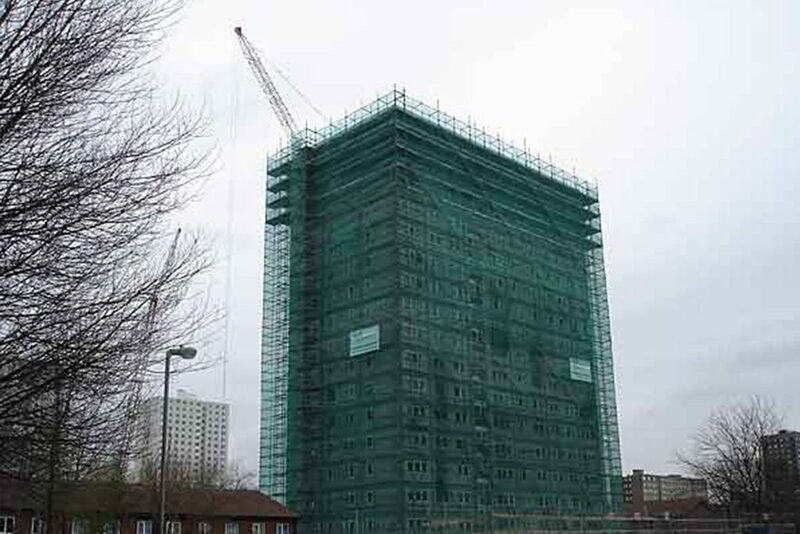 Through-propping to upper floors was installed for additional loads applied by the mini-excavators and debris. 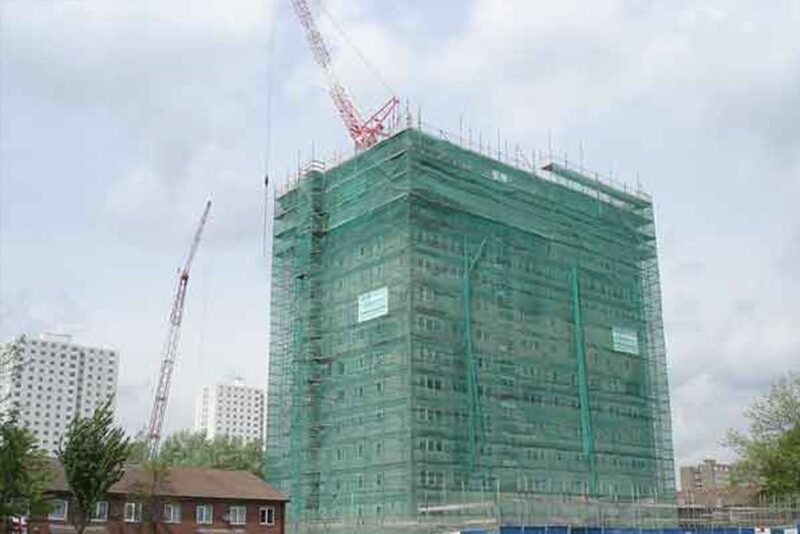 A crawler tower crane was utilised for lifting the floor panels and skips and lowering them to the ground. 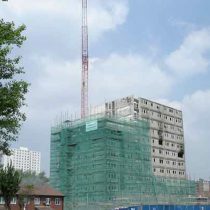 Lower floors were demolished using Hitachi EX800 Super Reach demolition excavator fitted with a concrete pulverisor with 360o rotation. 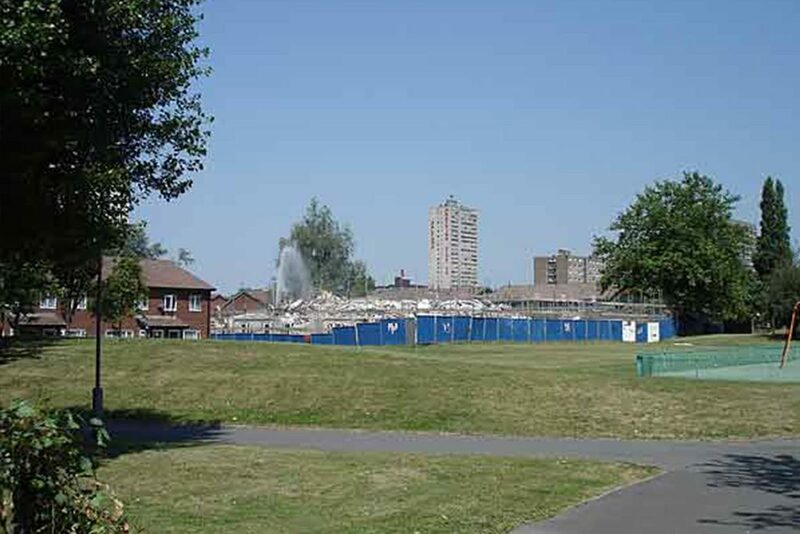 Once demolished, the extensive foundations were excavated the site was finished with top soil and a knee rail boundary.